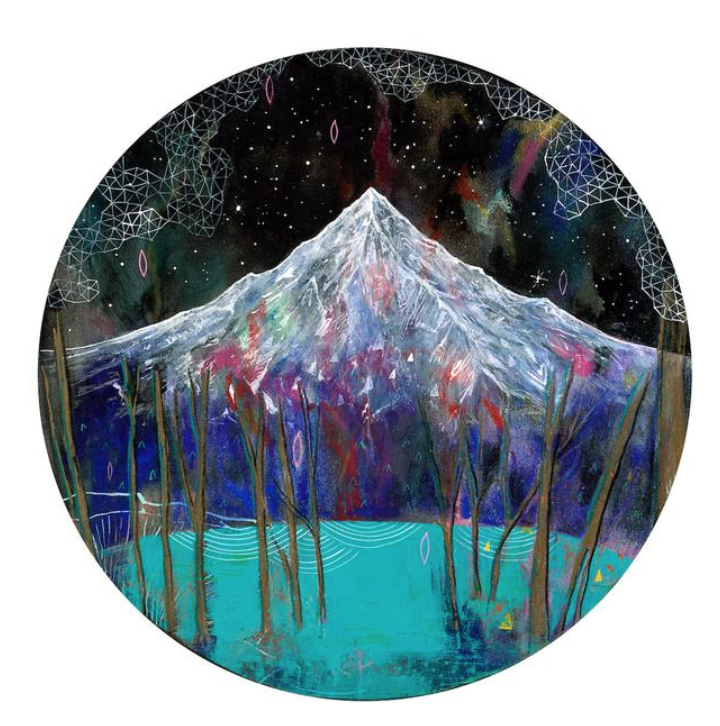 With the presidential inauguration going on today and all of the political posts we've been seeing on social media, I think it's time for an escape in the form of some beautiful art, don't you? One of my New Year's resolutions for this year was to draw more and make more art. I'm still working on that goal! I haven't motivated myself to pick up a pencil or a paint brush yet. I think I've just been too exhausted when I get home from work that all I want to do is just lounge on my couch and watch a movie. Note to self: Instead of a movie, draw or read! That's my goal for the year. Maybe I'll start on Sunday when I'm home all day! So in the mean time, and as a little escape from all of that political stuff going on, I thought I'd share some art I've found online recently that caught my eye. I recently discovered Heidi Annalise's art on Instagram. 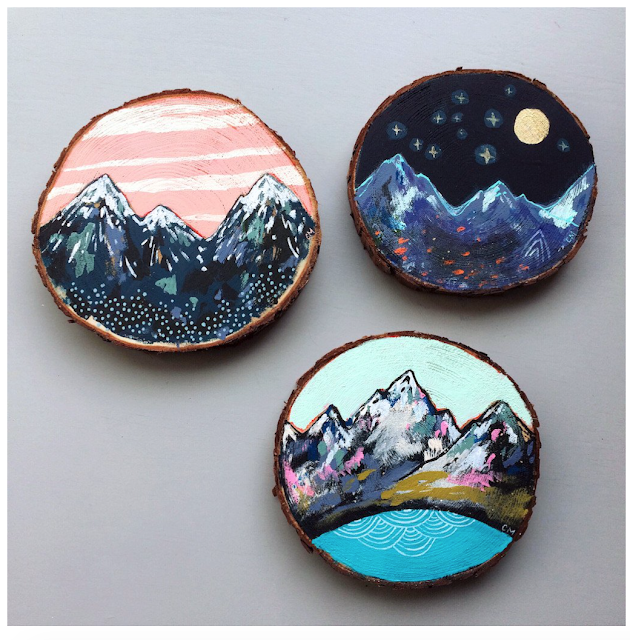 I love that she paints landscape scenes inspired by the natural world around her. 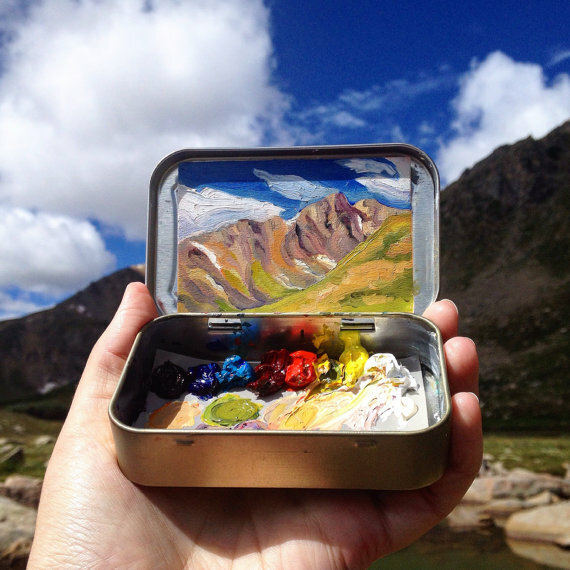 She also sells her tiny landscape paintings in her Etsy shop. You can find the above paintings right there in her shop. So cool. There's totally a theme to the art I'm loving right now. 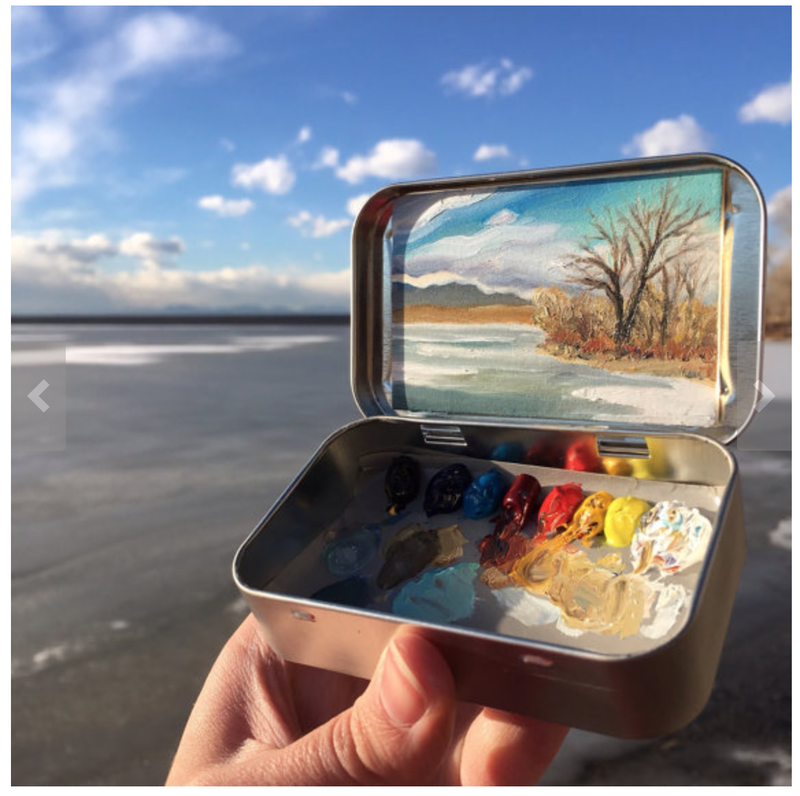 I found Cathy's art on Pinterest, and like Heidi, she also paints nature scenes inspired by her surroundings. She has a different style though - a bit more modern and abstract. Ok, that's all the nature art for today. :) I'm going to try to get myself motivated this weekend to make art. Or be crafty. Or maybe start on a house project.. Hmmm! We'll see!